"...I Have Never Had Such a Pain-free Waxing Before.." - Cara M. - Yelp! "I'm gonna give 5 stars because, although I never had waxing services in the U.S.A before, I believe in general concept is the same: Kristen knows what she's doing, she is considerate and carefull towards you and the process, very nice sweet and well manners, you can tell she really focus on you and on what shes doing, but on top of it all: she has magical techniques!... I never had any waxing as pain-free as I did with her, which is shocking considering I have low tolerance to pain. It hurted WAY less than any other time I've waxed before in my life. I've been carefully looking for a new place to wax after moving to the USA and I believe I found it. 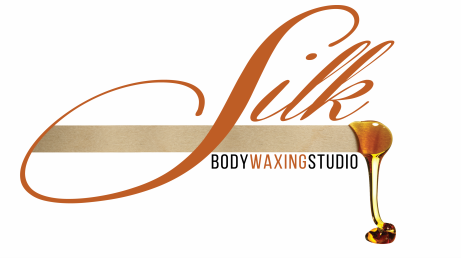 Oh yeah and the chocolate smell from the wax is really good :p"
"I gave 4 stars instead of 5 only because I've never gotten a body wax service before, and I can't honestly compare if I don't know, but for first timers, I STRONGLY recommend going to see Kristen at Silk. She made me comfortable, minimized the pain, and was so super friendly and awesome....The studio is on a quiet block in a very nice south Philly neighborhood. Kristine's offices are warm and welcoming, private, and a mix of a spa's upscale decor with a doctors office level of professionalism. She is knowledgeable in her field and very good at what she does. We discussed different techniques, hygiene, waxing do's and don't s, after care, followups,... then we talked about tv shows, boyfriends, career goals, everything lol. I don't think I could have made a better choice in my search for a great first time Brazilian and full leg wax. I am definitely going to back again in 4-6 weeks." Kristen did a wonderful job on my brows! She is meticulous!! Even though I'm willing to endure pain for great brows, here I didn't have to! I don't know how she did it but I have never had such a pain-free waxing before. I booked my next appointment before I walked out the door.